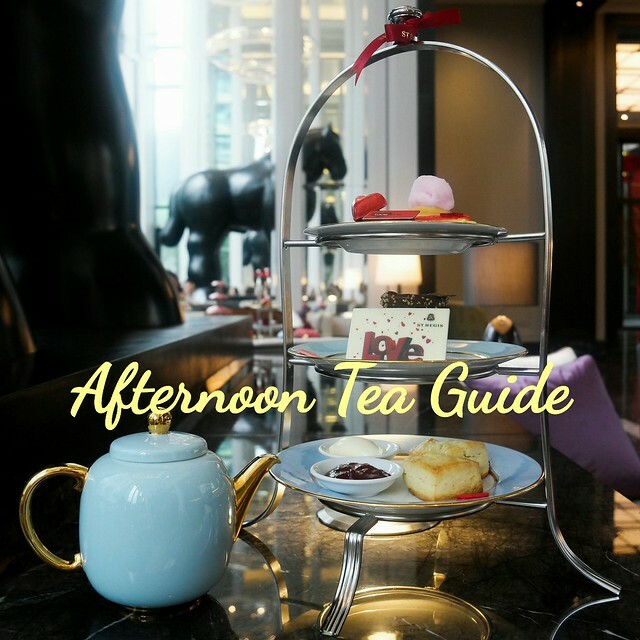 Dear Readers, how are you celebrating your Chinese New Year?! It must be a great celebration you all have and some even might still in the holiday! My CNY was okay but I have not have enough holiday as my class restarts today. This is too soon! I hate this and I want more holidays!!! I haven’t rest enough! Well, then, let’s talk bout the CNY I had. This year, there was reduce of house-to-house visiting among my relatives. The only meal together was the reunion dinner on the day before the CNY day 1. It was actually like a pot luck where each family bring something and have it together in one of our houses. ^^ I did enjoy my dinner a lot as I had those mouth-watering delicacies prepared by all my aunts. 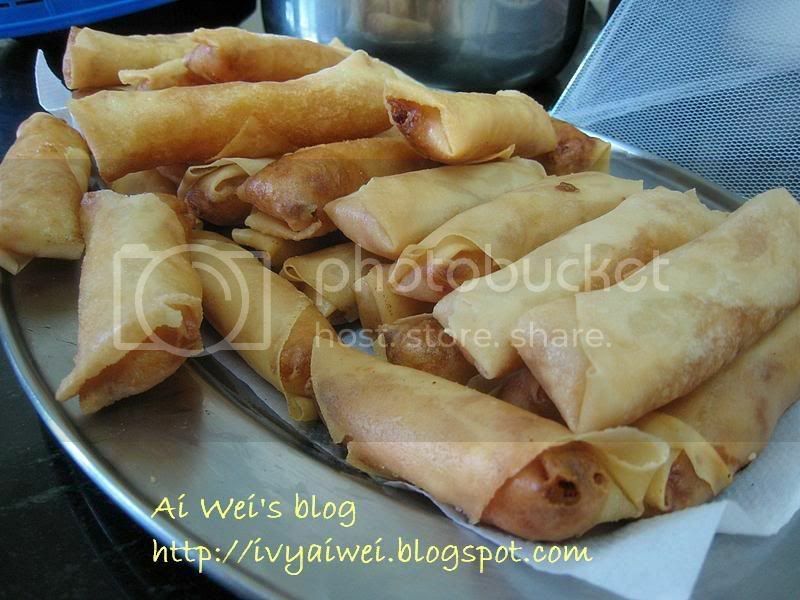 The fried spring roll，炸春卷 prepared by eldest aunt. Yes, the spring rolls symbolize the coming of spring season. 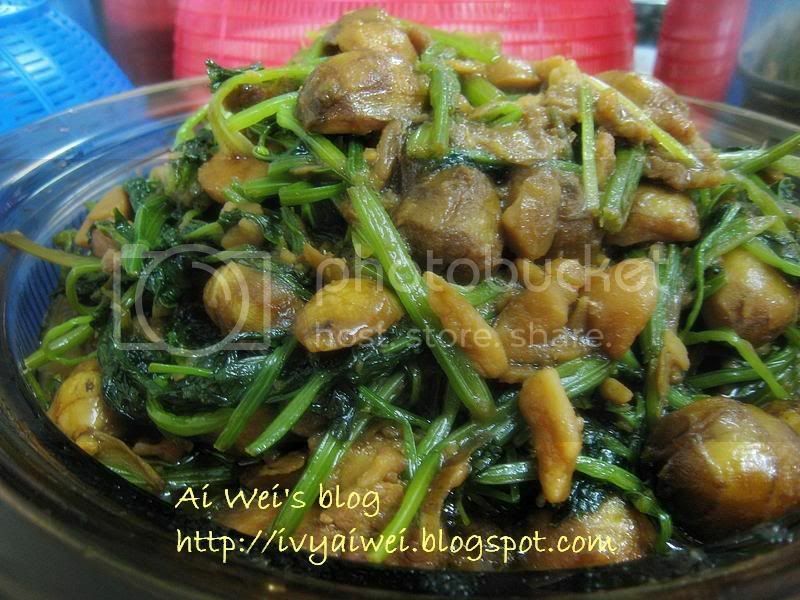 Next, my aunt’s fave — Arrowhead with lots of the greeny vege ，芽菇芹菜 (sorry, I dunno what it is in English). I took only those cutie arrowheads. Not the greeny vege. Another one was the meatballs cooked with sea cucumbers, carrots, and salted cabbage. The minced meat was well marinated and shaped into balls. That was so yummylicious. Chicken, ‘bak zham gai’ which was a must have during the reunion dinner. It came along with the dipping sauce which was a mix of soy sauce, oyster sauce and large amount of fried shallot. 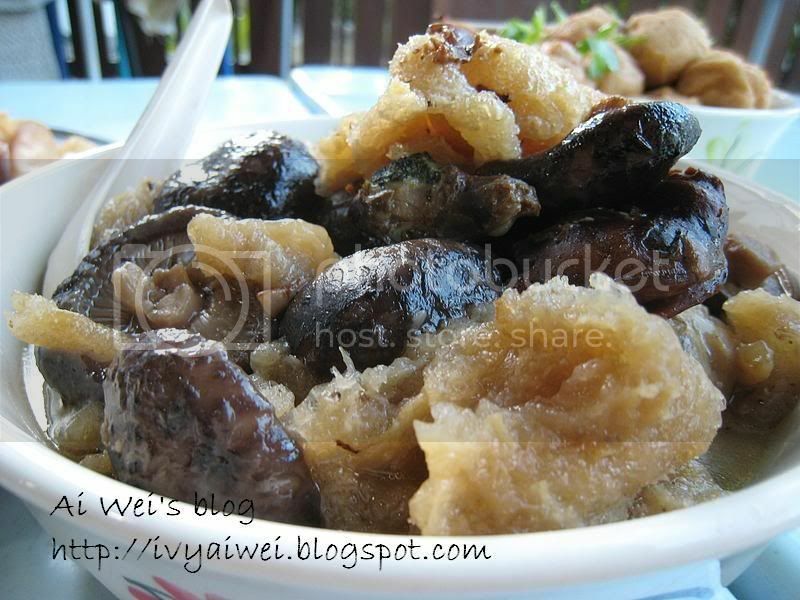 Braised mushrooms, dried scallops and yu piu ，焖冬菇干贝鱼漂 . Normally we would have braised mushrooms and chicken feet. But this, the chicken feet had substituted with yu piu. 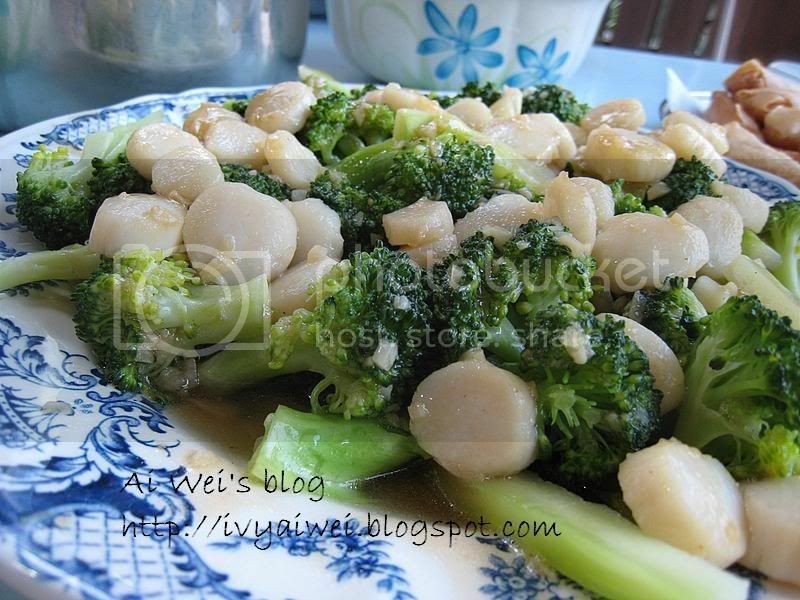 The aromatic brothy gravy was great to go with a bowl of rice. My youngest aunt prepared this stuffed tofu pok. Finally was the braised belly pork with yam，芋头扣肉 prepared by my mum. Hulala… The belly pork was specially selected early morning in the market. It has to be fried and then marinated for a day before this was made. It is not an easy task to prepare this dish. The fine texture of belly pork with the even proportion of fats melted right away in the mouth. I am salivating while typing this. I miss the reunion dinner a lot; the food, the family members and the get-together! by looking at the food, i can imagine how good the company is and the food too!!! 🙂 happy chinese new year!!! 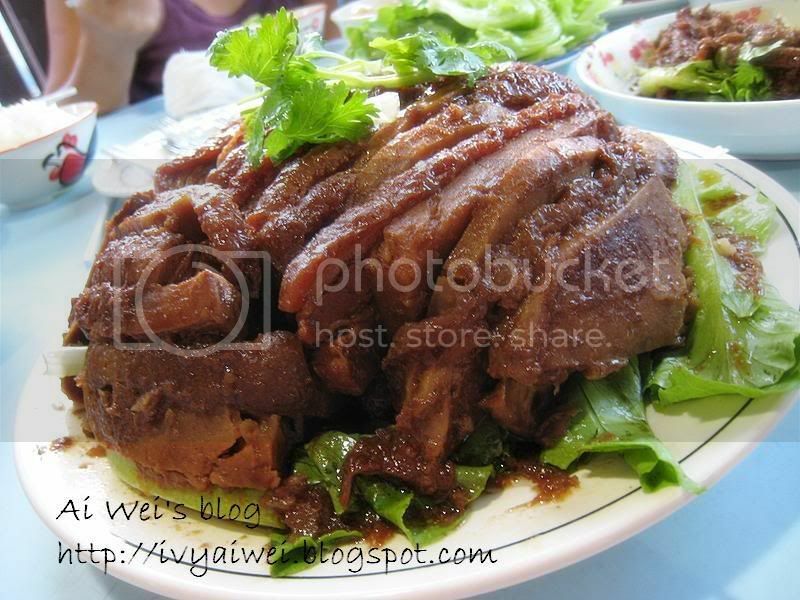 I like the braised pork with yam, especially the yam…. very flavorful with the “powderly” texture…. Gong Hei Fatt Choy!! braised belly pork with yam GREAT!!!!!! this year mom din cook it! so sad! 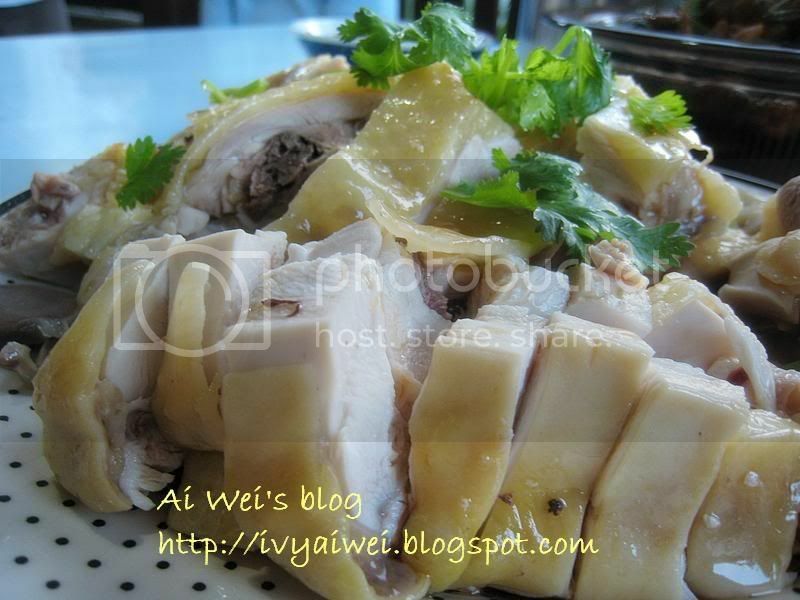 wahhhhh…looks great..ur mom’s dish especially..thats so sinful to have after CNY..but perfectly normal during CNY! It must be an unforgettable reunion dinner!! So many nice foods! *claps claps* to your mom and aunts! Thanks for leaving me comment. OMG, every dish looks soooo good…drooling. a very complete reunion meal, i must say. all the dishes are quite difficult to make, really. 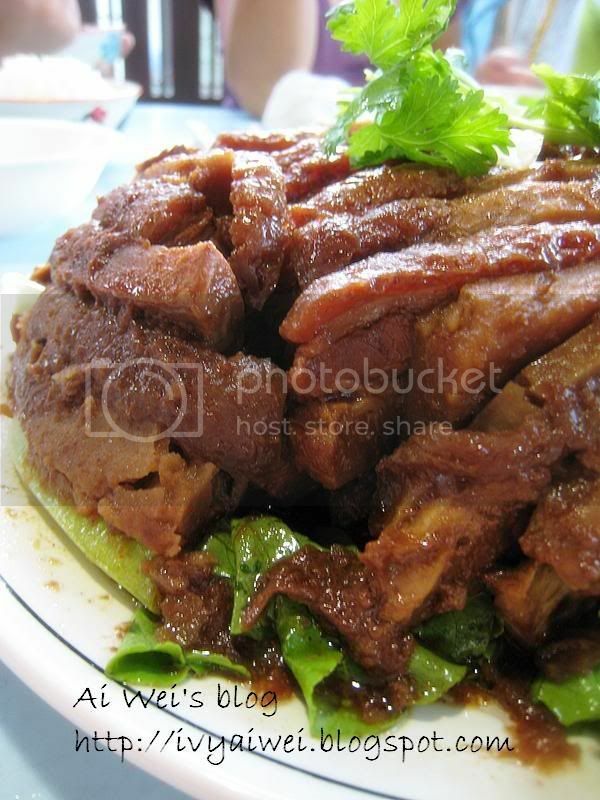 especially the braised pork belly and yu piu dish…nice! nice! Happy Chinese New Year and wish you have a great and fruitful year ahead in the Year of RAT! CNY has came and almost leaving soon. So folks … enjoy it while it’s still here. Hi … my first visit to your site. Impressive. 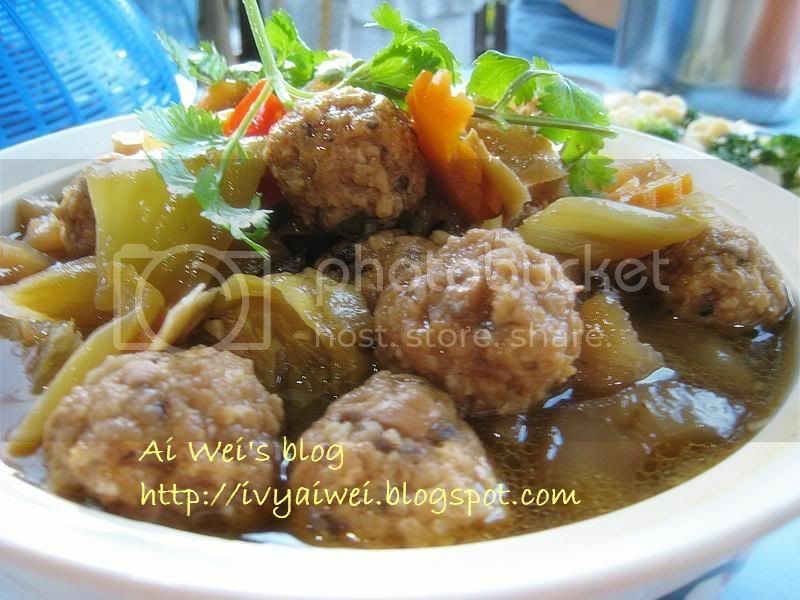 Anyway … will be visiting you soon again…..
Aiyoh, the kau yoke looks so yummy. 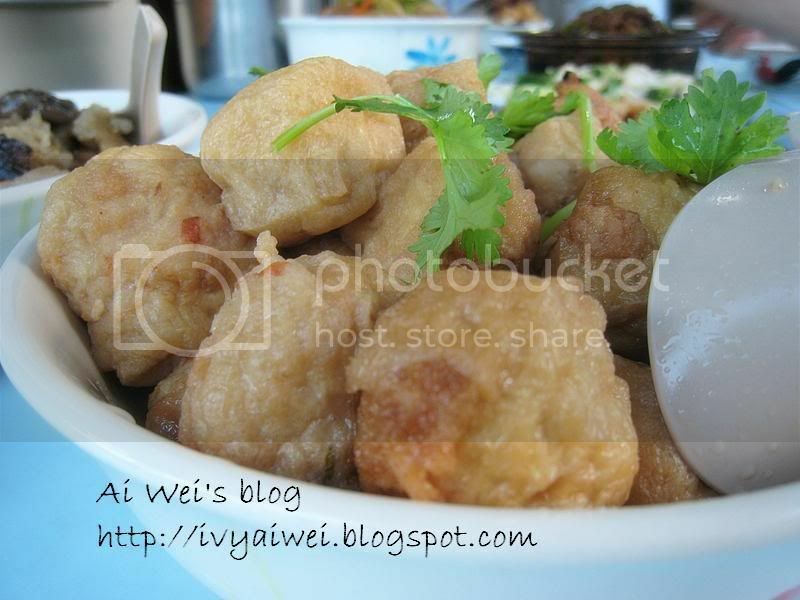 My fave…and the other CNY dish I like is chai choy. Hahaha…total opposite! Hehehe…Gong Xi Fa Chai! Wow, what a feast that you had with your family. They all look so delicious. Anyway, thanks for the cookies that you gave me, they tasted really fantastic! wow! every dish looked like restaurant standard. …maybe looks even better than ‘overseas’. Your food photo’s are soooo mouth watering! I love the fact that you print them big, because I feel like I’m sitting in the restaurant with them right in front of me. Thanks! ^^, i could say nothing is better than having a meal with family and friends! why not nag your mummy to cook it? i am sure she will do it for you if you crave for it. ya looo… it took up to hours and even days to prepare the braised pork and yam. errr… bad lar me… i din help, but i ‘d help to EAT! thanks~ you had a great one too, right??? waiting for u to blog about that! ya o. can taste everyone’s ‘shou sai’ too! thanks for dropping by and Happy CNY to you! aiks… this year i din take chai choy at all e?! totally forgotten about it. how come my aunt din prepare 1??? no larrrr… it was jz an ordinary reunion dinner. bet u hav a Great one too! thanks for dropping by and commenting. glad you like the post. hope you enjoy reading and do visiting here more often. i am just a newbie here and i will try to improve more!! !